The most reliable and well respected sources of computer help on YouTube.–PC Pitstop. Thanks to the Internet, a beginner doesn’t really need to seek anyone’s help anymore. This holds true for several things, and technology-related queries are certainly one of them. Some weird noise is coming out of your laptop? Getting slower network speed? Don’t like Windows 8′s start screen? Well, there are a gamut of communities waiting to help you out. While there are several communities like StackOverflow where you can post your questions and have them appropriately addressed, if you find video content more gripping, the Internet has that covered well. In this post, we’ll take a look at some of the most reliable and well-known YouTube channels that you should look up when in need of some help with your computer woes. 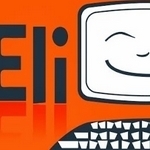 Arguably one of the best resources of learning all things digital, Eli The Computer Guy has come a long way. Having watched his tutorials myself, I can vouch for the quality and accuracy in the matters he talks about. In the last few months, the YouTube channel has covered buying advice, gadget reviews, and explanations of various technology motives, but that isn’t what made this channel popular. Want to learn about Linux, Ubuntu, or understand various network concepts such as DNS and routing? Eli The Computer Guy is the place you should head to. He has also explained various programming languages – HTML and Perl to name a couple. The way the channel approaches a concept and simplifies all the tech jargon is what makes it worth your time.